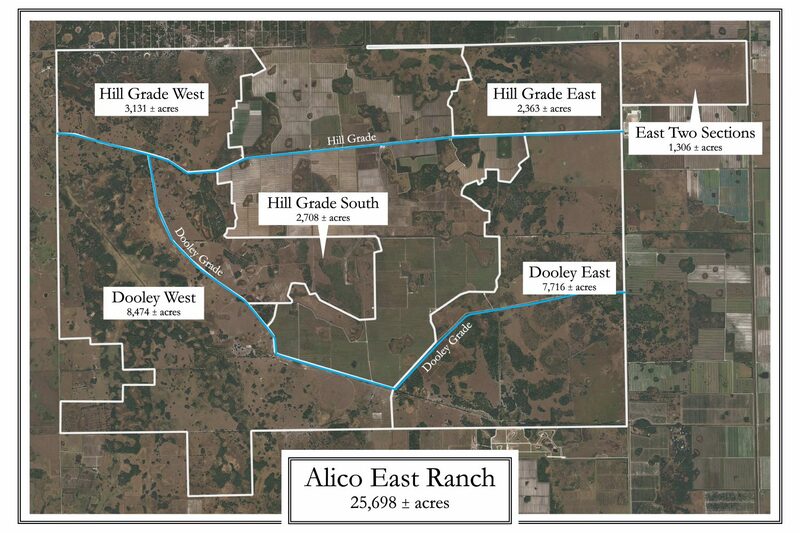 Never before on the market, Alico East Ranch is approximately 25,690 acres in Hendry County, Florida. 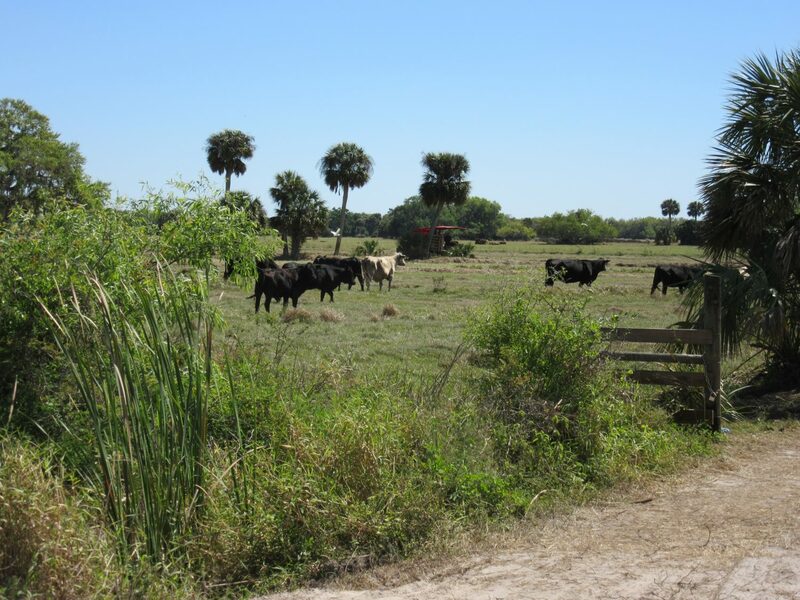 This south central Florida ranch is comprised of a mix of improved, semi-improved and native pastures for cattle ranching or leases, hunting leases or agricultural use. 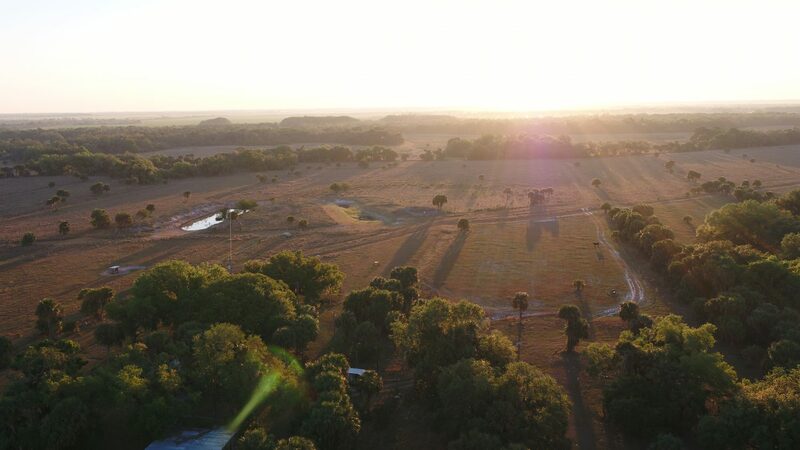 The surrounding area is predominately used for ranching, vegetable farming, sugarcane and citrus production. 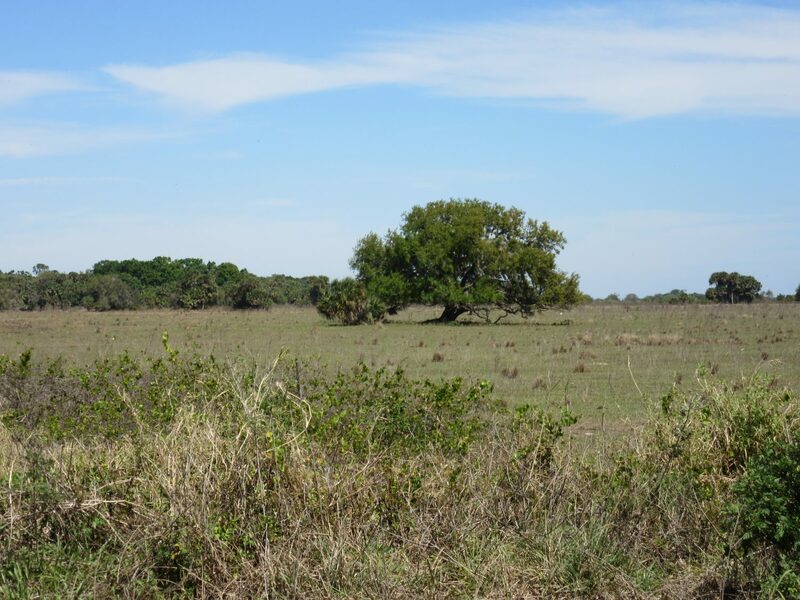 This property has been used for ranching and farming for many decades. 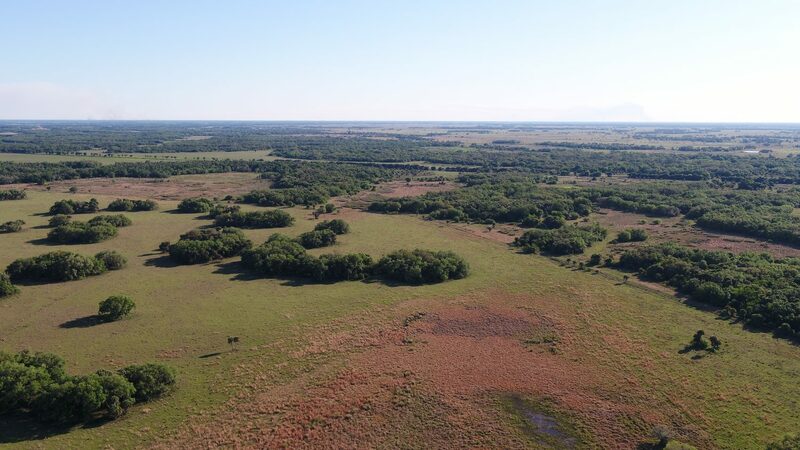 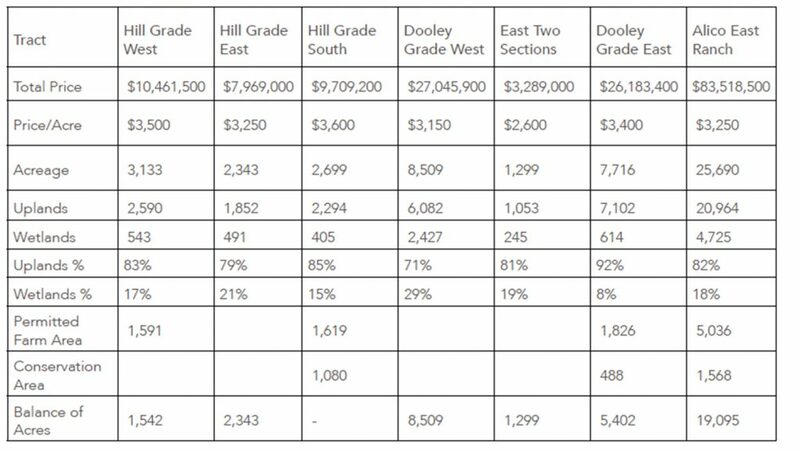 The ranch is easily divisible and is currently offered as a whole or in six separate tracts ranging from 1,265 acres to 8,586 acres. 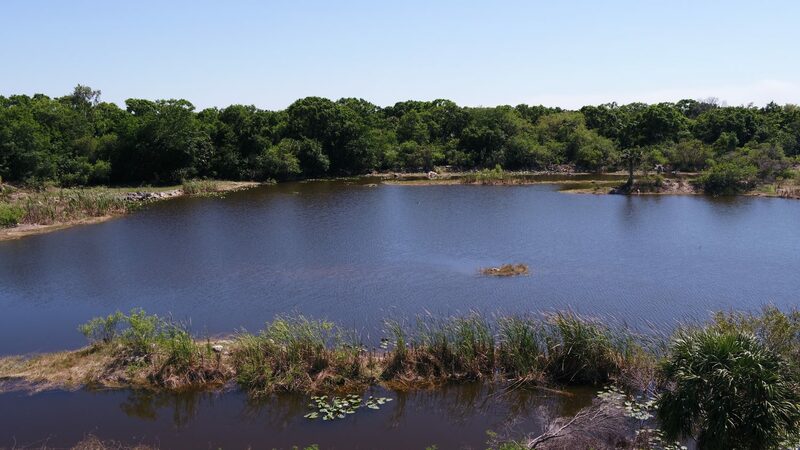 The property has about 20,964 acres of uplands and 4,275 acres of wetlands. 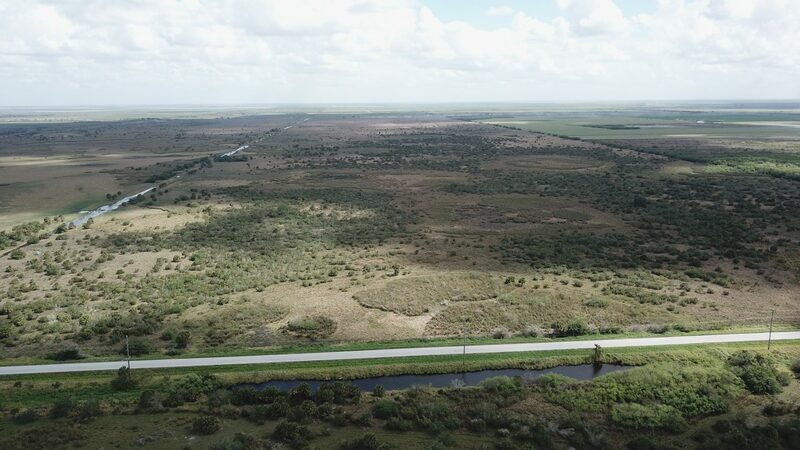 About 24,400 acres make up one contiguous piece located east of CR 833 and west of CR 846 and bordered predominantly on the north and south by boundary canals. 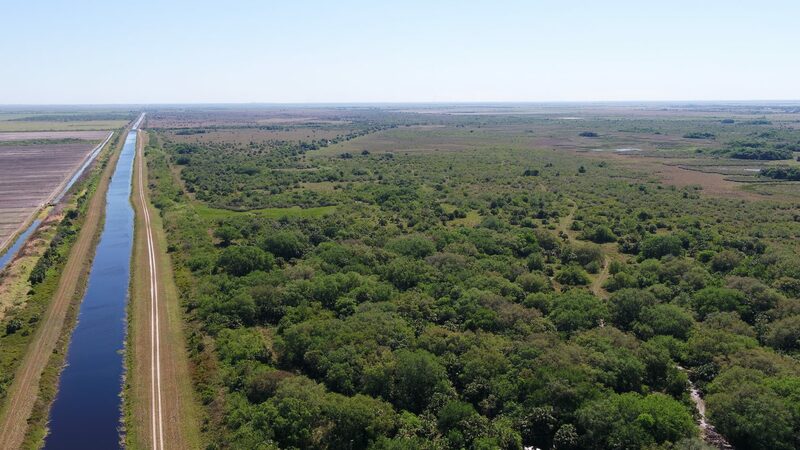 An additional two sections of the ranch are east of CR 846 and south and west of the L-2 west canal. 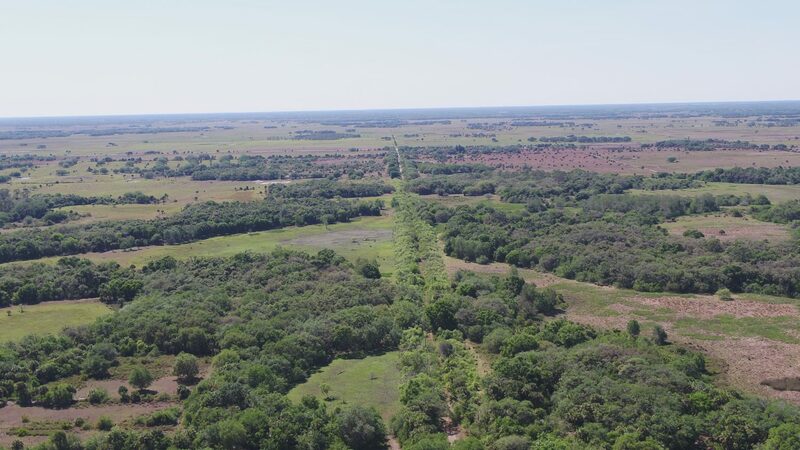 Road frontage includes 5 miles on CR 833 and 6.1 miles on CR 846. Infrastructure includes over 18 miles of well-maintained roads and over 100 miles of perimeter and cross fences. 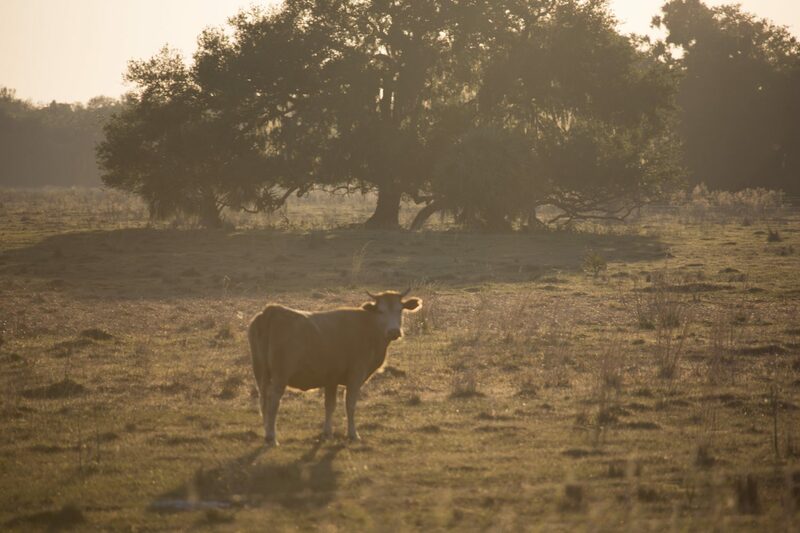 The carrying capacity of the ranch is between 3,500 and 4,000 cow/calf pairs based on management practices. 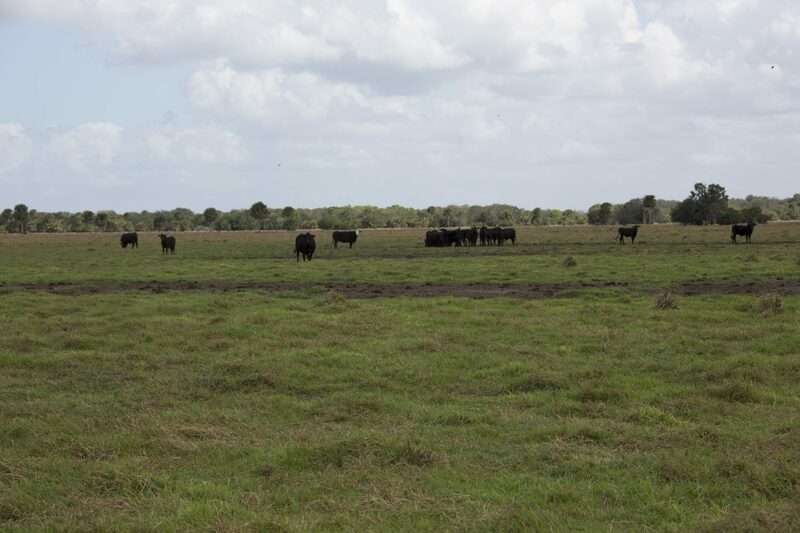 Cattle rights are currently leased with a one year notification for termination. 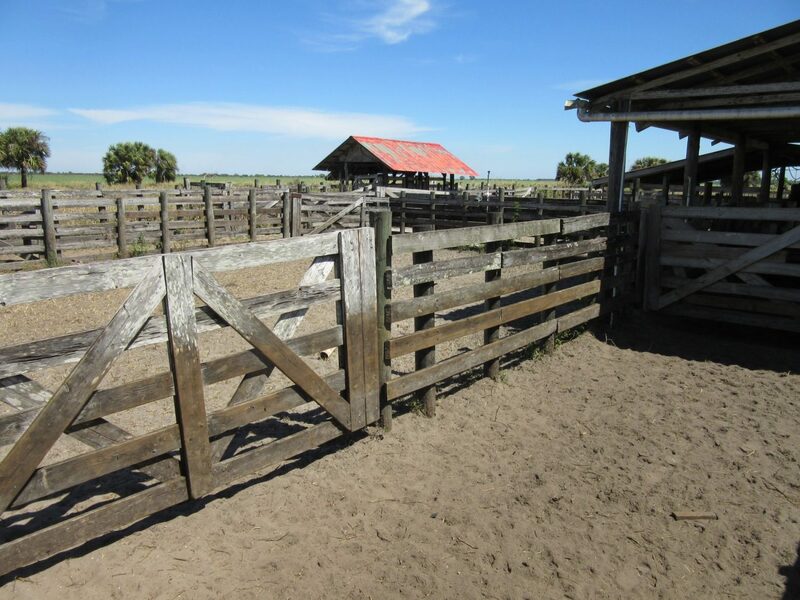 Structures include five homes, two sets of working cow pens, and one storage barn. 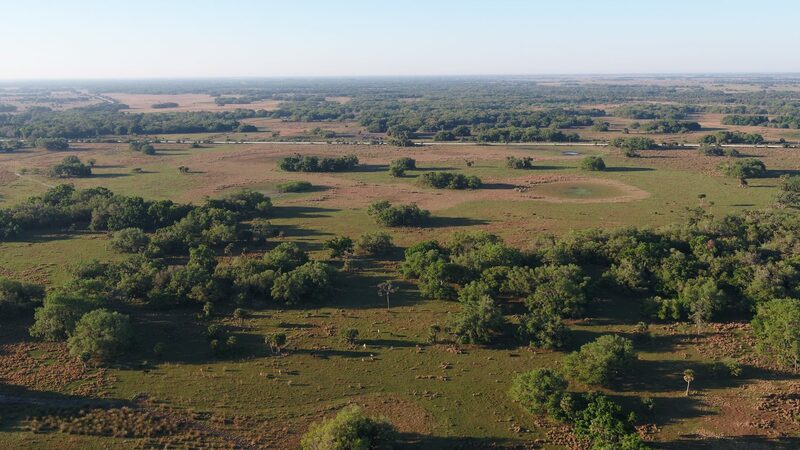 The ranch includes 5,036 acres of undeveloped permitted farm land. 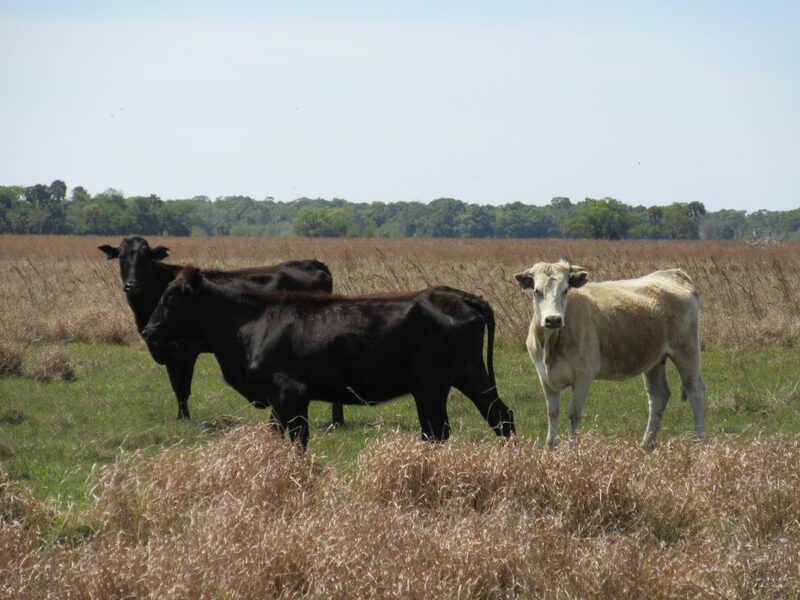 It is estimated that 70% of the total gross acres are developed into pasture with either Bahia grass or Limpo grass. 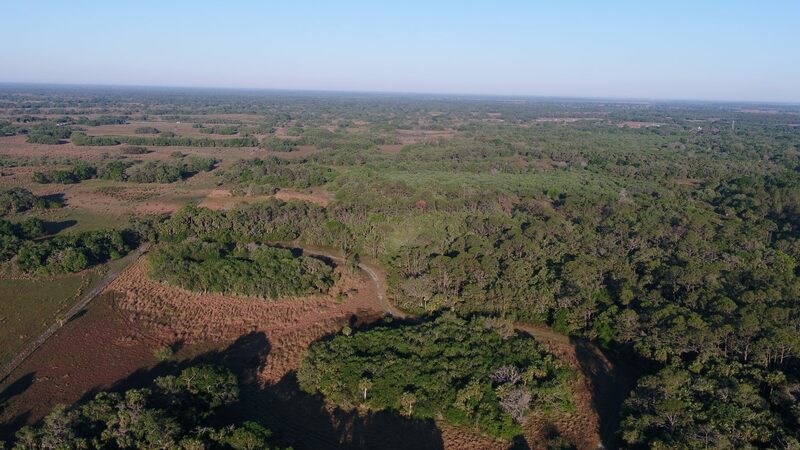 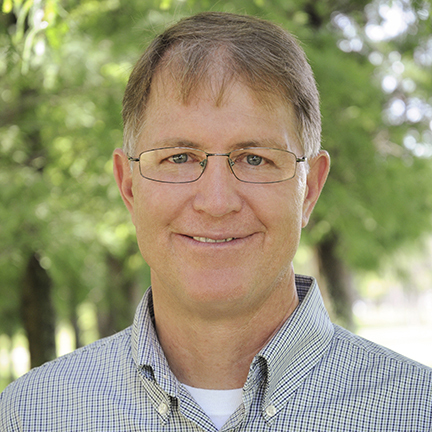 Many of the soil types are well-suited for conversion to row crops, sugarcane or citrus. 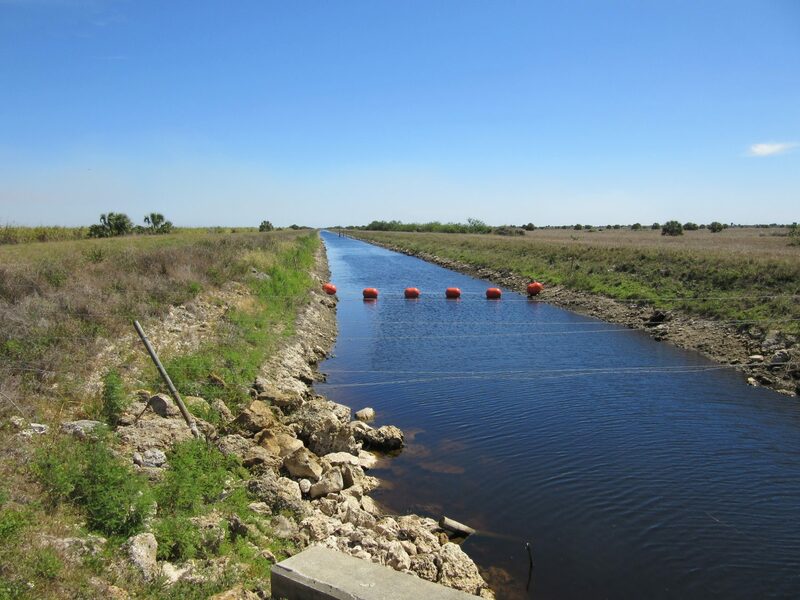 Water for irrigation is from ground water and surface water drainage is provided by a series of ditches and canals. 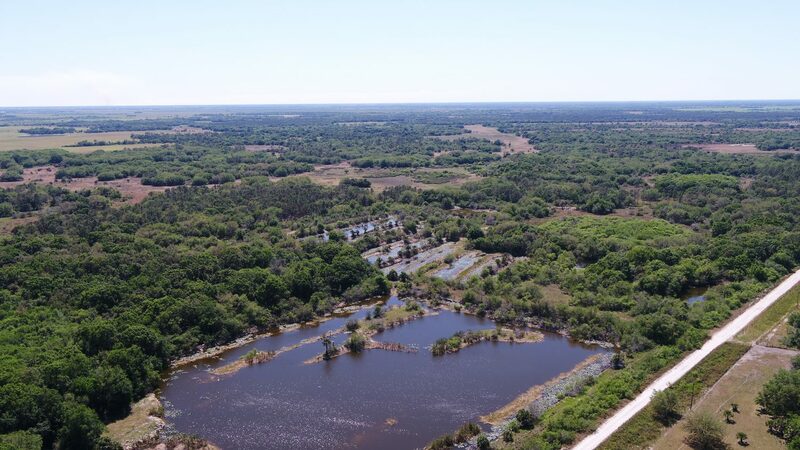 There are three water use permits and 22 existing wells on the property.